Dubspot contributor Michael Emenau investigates the magic behind Photek’s Modus Operandi – a masterpiece album that established Rupert Parkes as one of the most innovative producers in modern electronic music. 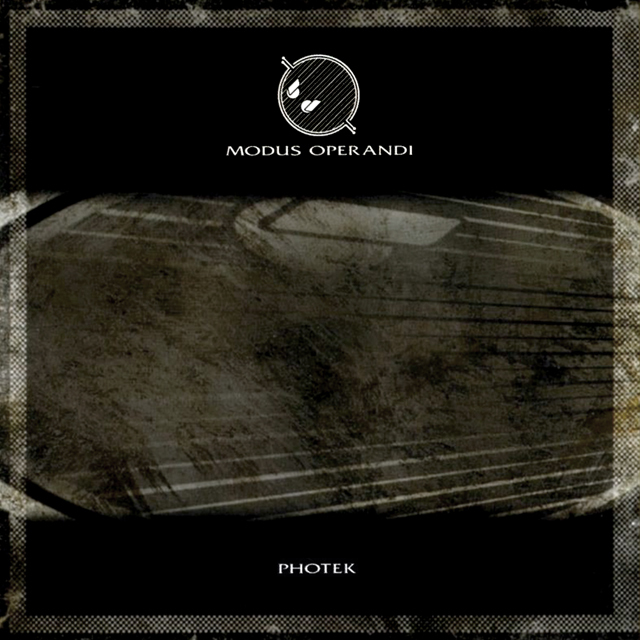 Photek’s Modus Operandi is one of the seminal drum’n'bass albums. At the time of it’s release, Photek (a.k.a Rupert Parkes) was at the forefront of the movement, having released over 150 tracks. Drum’n'bass was at the height of popularity with it’s hyperkinetic drum programming and copious use of wall-rattling sub bass. Modus Operandi was electronic music’s most awaited release of 1997, and Photek delivered a masterpiece. Critics used words like “futuristic,” “sci-fi,” “icy,” and “Blade-Runneresque” to describe the tone of the album. This tone was created with a set of musical building blocks that are used consistently in each track. In this article, I’ll discuss what makes this album a unified suite of music rather than just a series of tracks. I’ll also briefly discuss how the album was made, and what we can learn by examining older production techniques. 1. The first sound heard on track one, “The Hidden Camera,” is a keyboard. The simple melody sets the tone for the entire album: sparse, unresolved, and crystalline. (I use the word “crystalline” to describe a sonic pallet which is cold or lacking emotional warmth.) The simple motive stated at the opening comes back in different variations throughout the album: as a bass line in “124,” a string line at the end of “Aleph 1,” a string pad in “Trans 7,” and a bass line in “Modus Operandi.” The motive is even similar to the gong pattern in “The Fifth Column.” Each of these restatements is a variation, but each carries the same sparse, unresolved, and crystalline tone established by the original theme. 2. When people think of Photek, his complex and meticulous drum programming is usually the first thing that comes to mind. Again, sparse, unresolved, and crystalline can be used to describe the programming. Crystalline, because the drum sounds are often cold and sterile. Unresolved, because the drum patterns rarely conclude neatly every eight bars. The punches come at seemingly ambiguous times in the phrases, but there is a consistency to the ambiguity that keeps the patterns propelling forward and the listener engaged. The groove is always solid but ever morphing. Listen to the ride cymbal of “The Hidden Camera” and the shaker on “Smoke Rings.” In both cases, they accentuate the main action (bass drum and snare drum), but constantly change; they create rhythmic interest without overwhelming the track. It may be less evident to describe the drum tracks as sparse, but this will become clearer in the next point. 3. The density of sound is masterfully controlled throughout the album. Photek understands that there is a finite amount of sound the ears can process before the listener is bewildered by complexity. In Modus Operandi, some tracks are very drum heavy, with constant tweaking and microscopic attention to detail. Some tracks have more consistent drum patterns. The other elements (pads, bass lines, sound effects) are employed in varying amounts of complexity to keep the sonic density in balance. If the drums are busy, the use of pads and bass lines is sparse. In tracks with simpler drums, the other elements have greater density and complexity. In “Smoke Rings,” almost all the action is in the drums, and other sounds are pulled back. “Aleph 4″ relies more on melodic and pad elements to create forward propulsion. In electronic dance music terms, this album was created a very long time ago. (Grandfather chimes in: “Back in my day samplers only has 512K of ram and we had to load them with floppy disks!”) The technology involved was basic, and was time and labor-intensive to use. There is much to be considered about this fact. The drum tracks were cut up and looped in an age before visual audio files, and triggered via MIDI. These limitations made every part precious, and created an incentive to develop each part to its full extent. There was much less “throwing away” of tracks. If a part wasn’t working right, you were more likely to explore and find a solution. This how Photek was able to create such a concise, timeless sound. He put in the long hours necessary to wrest every creative possibility from a limited set of tools and musical ideas. It is now so easy to tweak, twist and distort any sound that we sometimes get lost in the technology and forget about the overall impact of the music. A great way to counteract this is to impose a set of limitations when composing. Pick five sounds and try to make your next set of tracks with them. Try to exhaust every possibility using the sounds as-is, and when you’ve done all you can, allow yourself to manipulate the sounds with a limited set of effects. By sticking to a set of reusable elements, you will define and focus your creative process and surprise yourself with a newfound sense of freedom. Remember, Sgt. Pepper’s Lonely Hearts Club Band was made on a four-track recorder. The Beatles were pretty talented, so give yourself five!